Date Created/Published: Cin'ti ; New York : Strobridge Lith. Co., c1897. Medium: 1 print (poster) : lithograph, color ; 206 x 101 cm. Created and "copyright 1897 by The Strobridge Lith Co, Cin'ti & New York." 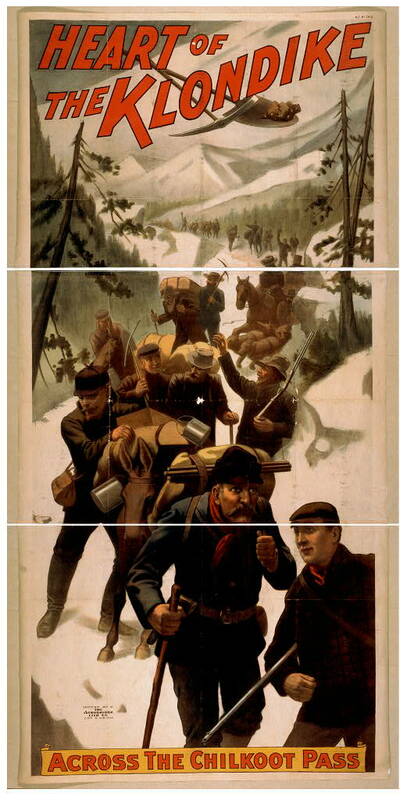 Different version of poster with slightly different text: POS - TH - 1897 .H42, no. 4 (C size). Caption: Across the Chilkoot Pass.